There are two parts to why we're not seeing a spot uranium recovery. First is the uranium spot market has been rather tight in terms of overall percentage of production, and there have been some nuclear plant closures in addition to shutdowns in Japan after Fukushima. Add to that a lot of production growth already build into pipelines that has come on-line and ramping up production and creating a larger amount of spot uranium to be sold into a weak market. Cameco Corp.'s (CCO:TSX; CCJ:NYSE) Cigar Lake is an example of that. So we're getting this extra pressure on the spot market, but if you look at contract pricing, it has remained relatively stronger, in the low $40s. Producers are making decisions based on the contract price, not the current spot price. So there is a disconnect between spot and contract pricing. "Energy Fuels Inc. has moved to being a lower-cost producer and to have a mix of conventional and in-situ recovery." The other reason we aren't seeing a spot uranium recovery is Fukushima had a longer and more lasting impact on the overall market than any of us thought was possible. The restarts in Japan have been slow, but that's just one country in the overall puzzle. Other countries have looked at Fukushima as a reason to change regulations, which has stalled the development of additional reactors. China, for example, had a three-year hiatus from allowing any nuclear reactor project to be developed, as it rewrote its regulations. So, as the supply has come on-line and demand hasn't, we've created and prolonged this oversupply. As we look out to 2018–2019, I see a decline in production and expect a significant rise in supply. Most analysts are forecasting a 2018–2019 shortage. We look to that time frame as having the potential for a full recovery in uranium prices to more sustainable long-term levels of $50–60/lb. TER: All four uranium companies in your coverage are North America-based. Would you talk about this jurisdictional preference and why? JR: The U.S. consumes a significant portion of the world's uranium for nuclear power, yet it produces only a few million pounds of it. 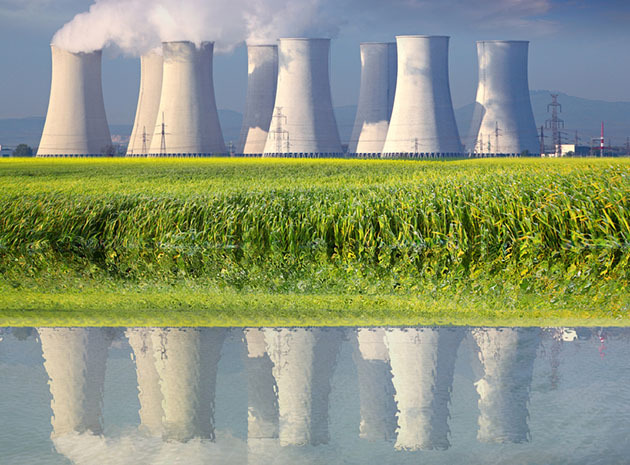 Our thought process, as the country has tried to focus on energy independence, is that at some point there is going to be a push to potentially even subsidize U.S. production of uranium in order to avoid reliance on imported uranium to supply power plants. If that situation were to occur, a number of projects in the U.S. that are currently not economic and are sitting on the shelves could become economic overnight. So there is this potential catalyst that has no specific date—more of a call option—on those names. That's one reason we focus there. Also, the U.S. regulatory body has set forth known laws that if you follow the letter of the law, you can get your permits to build mines, to run mines, for water disposal, etc. So the potential time horizon for companies to reach production becomes more predictable. One of our companies that we have under coverage, Uranium Resources Inc. (URRE:NASDAQ), recently purchased assets in Turkey, which doesn't have a very finite set of regulations regarding uranium mining. The company might have a short time horizon to production or it may find that the government elects to complicate matters for it. We're trying to take a conservative approach with that, and that's not a jurisdiction that we normally handpick. That said, the project appears to be world class. Denison Mines Corp. (DML:TSX; DNN:NYSE.MKT), which we cover, doesn't have U.S. assets, but it's in one of the most prestigious locations for finding uranium, the Athabasca region of Canada. We picked up coverage of Denison because it could easily supply the U.S., which generally doesn't have concerns about getting energy supplies from Canada. With that in mind, we think Denison's assets are elite and high-grade; the theory is the higher the grade, the better the cost numbers will eventually work out. It's also in a jurisdiction with known regulations and a clear path and time horizon, albeit it a longer one, to production. TER: How about some of the other companies in your coverage universe? JR: Two other ones that we cover are Ur-Energy Inc. (URG:NYSE.MKT; URE:TSX) and Energy Fuels Inc. (EFR:TSX; UUUU:NYSE.MKT; EFRFF:OTCQX). Energy Fuels is somewhat of a higher-cost producer today. With its Uranerz Energy Corp. acquisition last year, it has moved to being a lower-cost producer and to have a mix between conventional and in situ recovery (ISR). When a uranium price recovery happens, Energy Fuels has a significant number of assets that could be brought into production, some former producers, some larger assets with large capital budgets. So Energy Fuels has a little bit more leverage to the uranium price than some of the other companies we cover. TER: In your most recent note on Energy Fuels, you say consolidation continues. Would you talk about that consolidation? JR: Energy Fuels has done a good job of selling some of the assets that it had smaller stakes in and purchasing the remaining interest in some of the assets that it thinks are more elite. Energy Fuels also purchased an ISR mill in Texas, which gives it another potential location to process uranium. The company had a number of smaller projects in Texas, and it picked up some more projects with the mill. The industry has been consolidating so that everyone has 100% interests in their projects, and avoiding joint ventures where everybody has to be on the same page at the same time to move forward. There's definitely a movement toward ISR and lower-cost production as well. Some of Energy Fuels' liquidations have been assets that need a significantly higher uranium price. I believe management's view is if the price of uranium increases to where those assets would have been economic, no one would care that it sold them at a discount during a down time; everybody is going to be happy the uranium price is back up and share valuations have moved higher. In contrast, if the company continues to hold those assets and has to raise equity, that could dilute shareholders further. So I think Energy Fuels has been making the right choices to purchase lower-cost assets on the cheap and liquidate some of its higher-cost assets. TER: You mentioned Ur-Energy. Would you tell us about the company? JR: Ur-Energy is an ISR producer with industry-leading, low-cost production, and it is best suited to survive a down uranium price for the long term. The company has contracts in place to help its bottom line today, and it has the potential to keep adding contracts in the longer term. Ur-Energy had to do a capital raise at the beginning part of the year, which upset some investors, but we attributed it to one of its utility customers that had to push out some shipments. As a result, Ur-Energy had built inventory to sell to that utility. It then didn't want to sell that inventory into a weak spot market, so it was forced to raise equity, which was unfortunate. But in the long run, Ur-Energy should come out of this year with more cash in the bank than previously expected, which will set it up to have more cushion moving forward. Ur-Energy has a second project in Shirley Basin that could provide value to shareholders in the form of growth if the uranium price begins to improve as well. JR: Investors who have been involved thus far with uranium need to keep a longer-term outlook. With most metals, they're dead until they're not. People who invested in gold and silver names when gold and silver collapsed and held out are finally seeing some return on those investments. People who have been purchasing these uranium assets at lows can continue to take advantage of slight volatility. If spot prices jump up from $28 to $35/lb again, you could take some profit off the table. But also, you can take a longer-term outlook and wait until the recovery eventually does happen. At that point, it could take a number of years before the supply shortage could be rectified because with mining, it's not a quick turnaround when supply crosses demand. There's a time frame, three to five years, sometimes even longer, during which you can't get assets into production fast enough to offset the shortages. That's usually the time when most of these equities see their peak valuation. TER: Thanks for your time, Joe. 2) The following companies mentioned in the interview are sponsors of Streetwise Reports: Energy Fuels Inc. The companies mentioned in this interview were not involved in any aspect of the interview preparation or post-interview editing so the expert could speak independently about the sector. Streetwise Reports does not accept stock in exchange for its services. The information provided above is for informational purposes only and is not a recommendation to buy or sell any security.